"It's total arrogance," one Facebook employee said of company leadership's willingness to blame its communications team for recent crises. 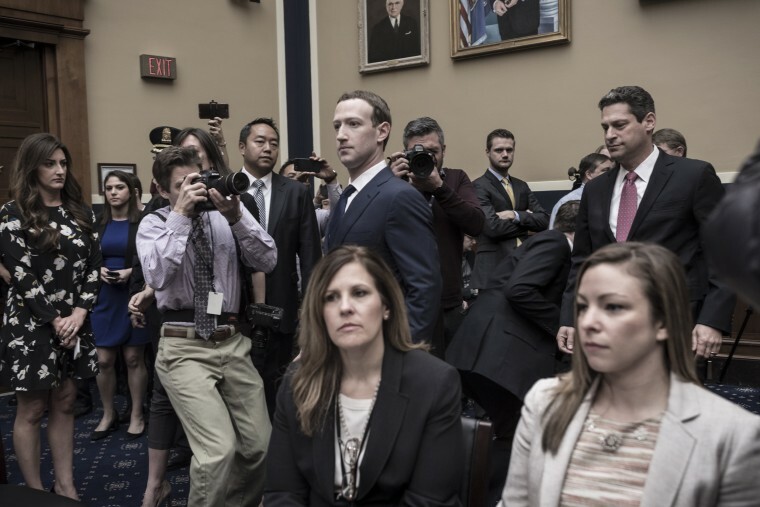 As challenges to Facebook mount from consumer organizations, politicians and journalists, the company's leadership remains convinced that its recent crises are primarily public relations problems, according to people at the company. Mark Zuckerberg, Facebook's chief executive officer, and Sheryl Sandberg, the company's chief operating officer, believe Facebook's negative image is a public relations problem that stems from a bungled press strategy and sensational media coverage, not a structural or philosophical shortcoming that requires a wholesale course correction, six Facebook sources familiar with their thinking told NBC News. The sources asked not be identified because they were not authorized to speak publicly. As a result, some inside Facebook believe the company's leaders are likely to respond to the current controversy in the near-term by revamping their communications strategy, not by making drastic changes to personnel or the platform. To critics from Silicon Valley to Capitol Hill, that is likely to be seen as a continuation of the "delay, deny and deflect" strategy covered by The New York Times that got them into hot water in the first place. In recent days, Zuckerberg and Sandberg have both publicly blamed the company's communications team for the decision to hire a conservative public relations firm that included what one former employee called an "in-house fake news shop." Both leaders also publicly claimed ignorance about the decision, even as Sandberg privately told staff that she "fully accepted responsibility." In a company-wide meeting on Friday, Zuckerberg blamed the media for fueling "bad morale" and called "bulls---" on The New York Times report, which insinuated that the company had tried to cover up its problems with Russia-based disinformation efforts. He also said he would not hesitate to fire employees who leaked information to the media. Internally, the leadership's decision to blame the media and the press shop has driven a wedge between them and members of the communications team who feel as if they've been thrown under the bus, the sources said. "It's total arrogance," one Facebook employee said. "Everyone is pissed." On Sunday night, a Facebook spokesperson told NBC News that the leadership "takes full responsibility for the issues we’re facing. They’ve been vocal about that internally and externally. No matter where people sit at Facebook, everyone wants to move forward — and that’s our plan." In recent months, Zuckerberg has taken a war-like attitude toward dealing with Facebook’s problems and with its PR strategy, according to a Wall Street Journal report. Zuckerberg, 34, believes his company didn’t move quickly enough to handle its problems in the past and has “expressed frustration at how the company managed the waves of criticism it faced this year." But Facebook’s critics worry that the leadership still has yet to internalize the full scale of the problem.